Marshall Islands first to show GB Machins on stamps? We think this is the first foreign stamp set to show Great Britain Machin definitives. 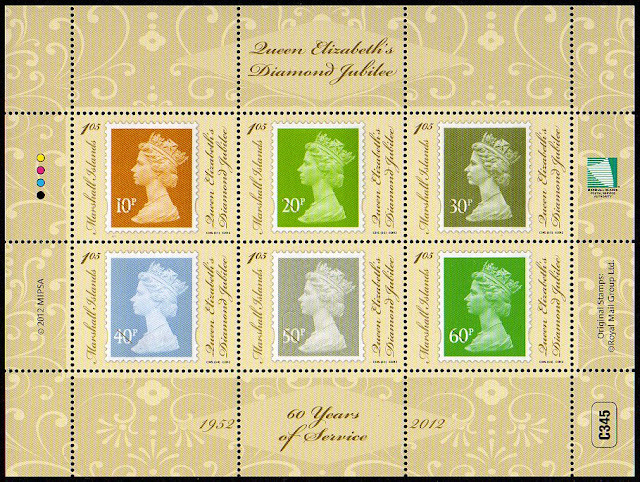 Issued on 6 February 2012 the Marshall Islands miniature sheet marks the Diamond Jubilee of Queen Elizabeth II and contains 6 x $1.05 stamps each illustrated with a British Machin definitive. 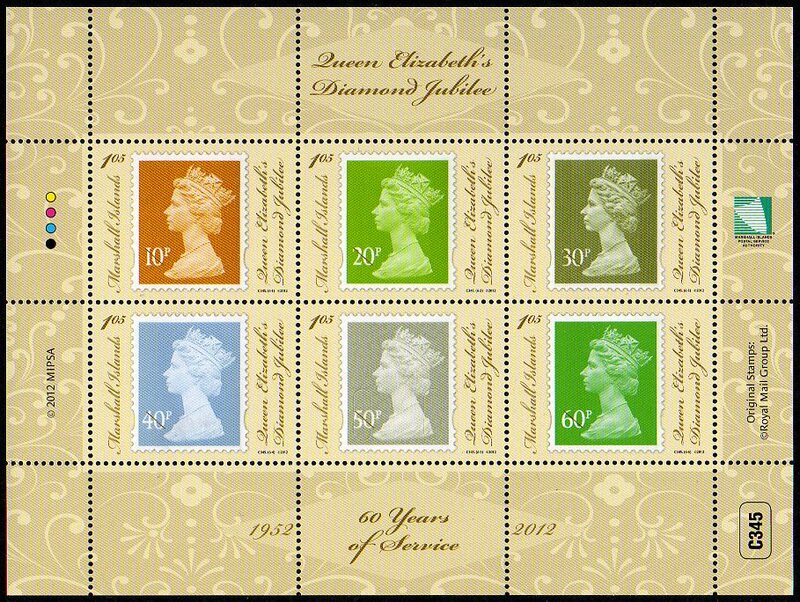 The stamp illustrations show the 10p orange brown, 20p bright green, 30p olive-green litho printing, 40p azure, 50p self-adhesive 2009 security issue*, and 60p light emerald. All the illustrations are slightly larger than life-size and have a line through the face value. * The security details are not very clear here but if you click on the image you should get a larger version.